There's nothing like some delicious ice cream on a hot and sunny day! Who's tried the new Ben & Jerrys 'Chunky Monkey' ice cream? If you have and love it, why not make it yourself at home? You can make it in the comfort of your own kitchen, with no ice cream machine needed! 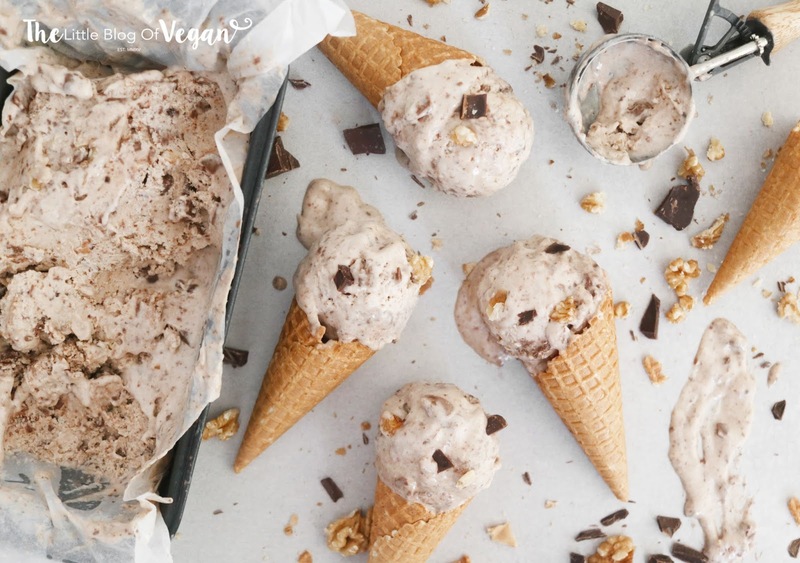 This ice cream is a lot healthier for you, using frozen bananas as the ice cream base! 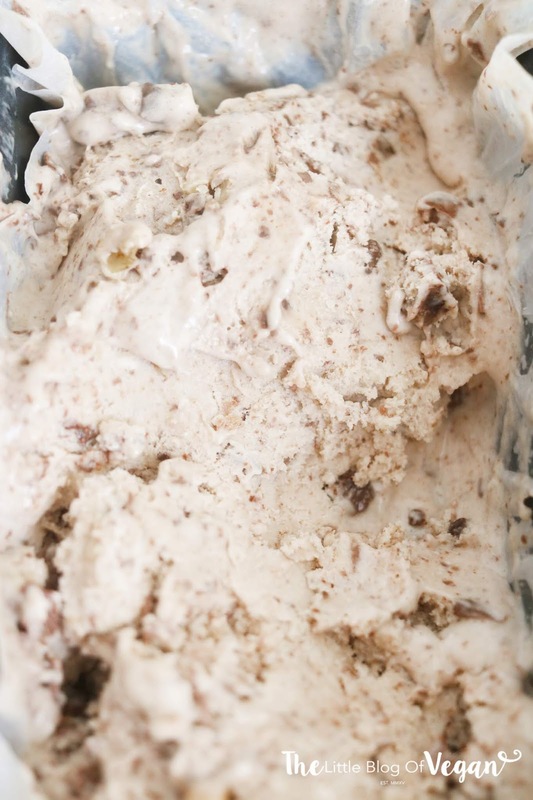 This ice cream requires a little prep, but it's totally worth it for the end result! Step 1- In a blender, add in the frozen bananas, maple syrup and coconut cream and whizz up until combined. Step 2- Fold in some chopped walnuts and dark chocolate chips. Optional: You could even add in some cacao powder or a dairy-free chocolate sauce. Step 3- Line a loaf tin with grease proof paper and pour in the ice cream, levelling it with a spoon or spatula. Cover and pop into the freezer for 2-4 hours until set to ice cream consistency. 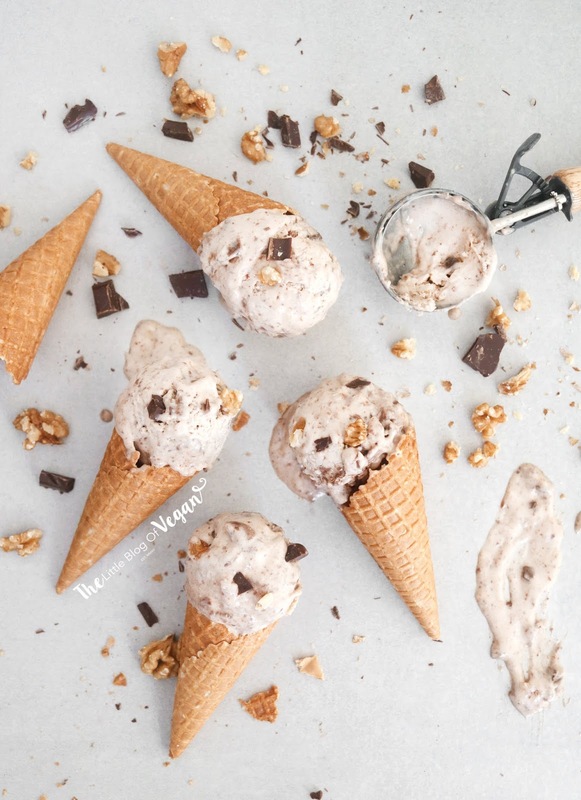 Serve in a bowl or scoop some onto a cone! I love chunky monkey ice cream! Looks so delicious! Can't wait to try it! 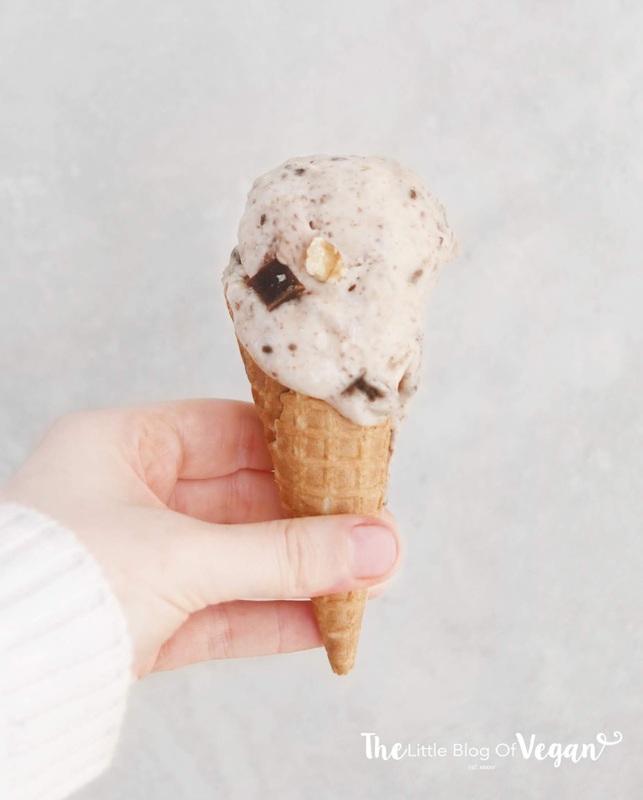 Gotta try all the ice-cream recipes from frozen banana in your blog ^^ Thank you for sharing!